Truck drivers need to be aware that from, 1 August 2017, all trucks with a Gross Vehicle Mass (GVM) over 4.5t will be restricted to travelling in the left 2 lanes in both directions between Springwood and Robina. Penalties including fines and loss of demerit points will apply. The restrictions are from the M1 motorway between exit 20 at Springwood and exit 82 Southbound and exit 79 northbound at Robina. The rationale is that the measures will improve the traffic flow for the more than 152,000 vehicles using the M1 each day, particularly during the Commonwealth Games in 2018. The Department of Transport will provide a report on the effectiveness of the measures following the Gold Coast Commonwealth Games on April 4 2018. Queensland Trucking Association CEO, Gary Mahon is reported as saying that the measures are likely to continue beyond the Gold Coast Commonwealth Games Owner Driver News. A truck is defined as a vehicle that weighs more than 4.5t but does not include a bus. The 4.5t relates only to the GVM and excludes any trailer attached to the vehicle. If you are pleading guilty to an offence of drug driving, the Court must, in addition to any other penalty, disqualify you from holding or obtaining a motor vehicle driver license. In some circumstances you may be eligible to apply for a restricted work license. Unfortunately, in Queensland, there is no capacity to grant you a Special Hardship Order for a drug driving offence. A Special Hardship Order would ordinarily enable a person to attend to activities such as taking children to and from school or attending to medical appointments with the ill. In Queensland however there is only a capacity to grant a license for work purposes. If you are charged with driving or being in charge of a vehicle whilst under the influence of a dangerous drug you are prohibited from obtaining a work license or any other sort of order that would allow you to drive during the disqualification period. If you fall into this category and continue to drive in breach of the disqualification period you would face an offence of disqualified driving and would be subject to a further disqualification period of between two to five years. See our previous disqualified driving blog post. If you are charged with driving, or being in charge of a vehicle with a prescribed drug in your system than you may be eligible for a work license. AM I ELIGIBLE FOR A WORK LICENSE? To be able to apply for a work license for an offence of driving with a relevant drug present you must be able to answer “yes” to the following. If you are able to answer yes to all of these things then you are eligible to apply for a work license. An experienced traffic lawyer will be able to guide you through the Application process, draft your affidavit material and appear in court on your behalf. Our previous Blog “What to Know before applying for a Qld Restricted Work Licence” offers more advice about the application process. This website contains general information about legal matters. The information is not advice, and should not be treated as such. You must not rely on the information on this website as an alternative to legal advice from your lawyer or other professional legal services providers. You should never delay seeking legal advice, disregard legal advice, or commence or discontinue any legal action because of information on this website. Restricted licences, are commonly referred to as work licences. They permit a convicted drink driver to drive for work purposes. The licence holder is subjected to a series of conditions regulating the type of vehicle they might drive, the hours they can drive and whether they might carry passengers. The current drink driving discussion paper is looking at either abolishing work licences or tightening the criteria. Current restricted (work) licence eligibility. Not have had a driver licence suspension, cancellation or disqualification in the past 5 years. An applicant would also need to demonstrate that they require the licence for the work. The Court needs to be satisfied that if the person was not granted a restricted licence they would lose their employment. In 2015, there were 2,377 restricted licences granted, which accounts for a little over 10% of drink driving offences. Work licences are available for an offender with a BAC of less than 0.010%. Unlike Queensland the Court may grant an ACT motorist a restricted licence where they have responsibilities to assist someone with a medical necessity. Queenslanders have no such eligibility. Extraordinary licences are available for all offences, regardless of the BAC. An extraordinary licence is also available where the applicant has responsibilities to assist or care for someone with medical necessities. Work licence eligibility is similar to Queensland with 0.15% the cut off. Tasmania is slightly more stringent, an offender can not have committed an offence within the last 3 years compared to 5 years for Qld drivers. The first of the proposals is to abolish allotter the right to apply for a restricted work licence. With first time disqualification periods of between 1 and 12 months, the impact upon first time offenders will be significant. In 2015 the Courts granted a total of 2,377 restricted (work) licences. The court was satisfied in each of those matters that without the application being granted they would loose their employment. This represents a significant loss of employment if the discretion was taken away. Those in favour of the abolition, point to the unfortunate statistic that 15 – 20% of restricted (work) licence holders re-offend within five years. The second proposal is that mid range offenders be excluded from applying for a restricted (work) licence. This would mean that any driver over 0.010% would not be eligible for the licence. Any change to the current regime will impact upon the employment of many Queenslanders. Those in Regional Queensland are not well serviced by public transport and will be further marginalised if they are unable to work. The loss of licence has a broad impact upon a full participation in society, with the impact often felt by the offenders family. Clearly the rights of the offender and their family have to be balanced against the appalling road toll. The Queensland Government is seeking feedback from interested Queenslanders. The survey can be accessed here. The survey closes at midnight on 7 March 2017. It’s just a drink driving offence, I can’t go to jail. Can I? Most motorists pleading guilty to their first drink driving charge will receive a fine and a loss of their licence. It is however open for the Magistrate to impose an actual period of imprisonment, especially where it is a repeat drink driving charge. For some drink driving offences, the law says that the court must impose, as the whole or part of the punishment, imprisonment. When you enter a plea of guilty to a traffic matter the Magistrate must decide, not only the length of your disqualification, but also whether you will be fined, given a community based order or sentenced to a period of imprisonment. your criminal and traffic history. Read more about BAC limits in our previous blog post. Have your car impounded (if you refuse to provide a specimen of breath or blow over 0.15%; Read more about impoundment powers here. What is a Repeat Drink Driver? A repeat drink driver is a person who has been sentenced for an offence outlined above within the last 5 years. The Court will look at the totality of your traffic history in deciding which penalty to apply, however the legislation defines a repeat drink driver as a person convicted within the last five years. What should I do if I am a repeat drink driver? If you are intending to enter a plea of guilty to a repeat drink driving offence you should consider your reading, the circumstances of the offence and your traffic history. If you are concerned that you might be facing a period of imprisonment you should contact a traffic lawyer for advice. A program such as the Queensland Traffic Offenders Program will assist you to demonstrate rehabilitation. Can I refuse a RBT? What alcohol limit applies to my licence class? Queensland police have the power to intercept motorists for “random breath tests”. 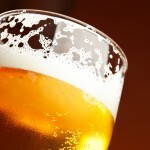 They are looking to determine the quantity of alcohol in your breath or blood. The reading is expressed as a percentage of your alcohol in your blood. That is a BAC of 0.05 means that for every 100 millilitres of blood in your body you have 50 milligrams of alcohol. In Queensland there are four alcohol limits. The limits are used to determine the action police can take if you are caught drink driving. From immediate suspension or cancellation of your licence to forfeiture of your car, the BAC reading plays an important role in the drink driving process. The duration of any disqualification is also determined by your BAC. All open licence holders except motor cyclists in their first twelve months and those in the no alcohol range may lawfully drive on Queensland roads with a BAC under the general alcohol limit. All learner drivers, P1, P2 provisional, probationary or restricted licence holders are prohibited from having any alcohol regardless of their age. emergency service personnel while they are engaged in their employment. Also included in the no alcohol class are all RE motorcycle licence holders during the first 12 months of their class of licence. The type of alcohol consumed. The list is not exhaustive and there are many factors that impact upon your BAC. The safest approach is not to drink at all if you intend to drive. There are many people who are charged with drink driving because they have miscalculated one or more of the factors. If you have been charged with a Drink Driving offence you must receive a disqualification. This is in addition to any other sentence that the Court may impose. In some circumstances, you can obtain a Work Licence for the period of the disqualification. 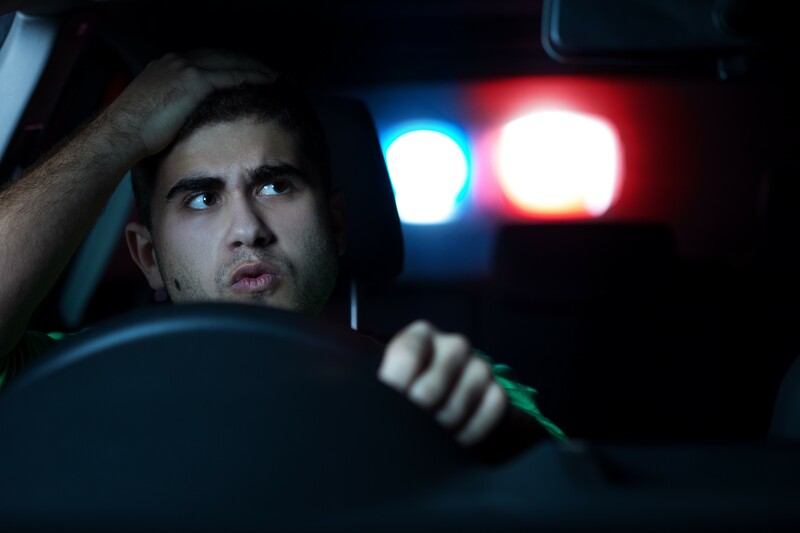 A first offender with a Blood Alcohol Concentration (BAC) of .072%, might expect a disqualification of 3 to 4 months. If they relied upon a licence to maintain employment, they could apply for a Restricted Work Licence (sometimes described as a ‘Work Licence’ or ‘Day Licence’). During the disqualification, they could then drive a vehicle for work purposes. A work licence is issued to enable a person to earn a living. You cannot attend to domestic or personal duties with a work licence. For example, a plumber could travel from home to the depot and between various job sites. They could also go to the hardware store to collect supplies. They would be in breach of the Order if they stopped off to collect groceries or drop children to school. did not commit the offence in the course of your employment. are over 25 years of age. were not driving under a licence that required your BAC to be zero. Been convicted of Dangerous Driving. You must complete an Application for a Restricted Work Licence. Forms are available from Queensland Transport the Magistrates Court Registry. why you will suffer extreme financial hardship by depriving you of your means of earning a livelihood. that you are a fit and proper person to hold a driver licence. If you are employed, your employer must submit an Affidavit. A letter from your boss is not sufficient. It is wise to have an experienced Traffic Lawyer review or draft this material, particularly if your traffic history is questionable or your BAC reading is high. You need to advise the Court that you are applying for a work licence before you enter your plea of guilty. The Magistrate or the Prosecutor may require both you and your employer to give evidence. Accordingly, you should have your employed attend Court with you. A Lawyer with experience appearing in the traffic callover can assist you to advocate for a work licence. They will make persuasive submissions, relevant to your situation. Lawyers assist the Magistrate to reduce the disqualification period and penalty. They highlight the merits of your case, having regard to legislation, precedents and other sentencing principles. That you carry a copy of the Order with you at all times. You should note that if you are successful in obtaining a Work Licence you will not be able to drive until you have attended upon Queensland Transport and obtained a valid licence. It would be an offence to drive from the Court House to the Transport Department. You should organise a friend to drive you to the Department of Transport. If you fail to comply with the conditions of your work licence, you may be prosecuted by the police. You will lose the work licence, and subject to further penalties. The legislation permits the Court to impose double the disqualification period where a work licence application is granted. This does not routinely occur. Will a Lawyer help me? Timely advice regarding possible defences, eligibility for work licences and processes to mitigate any disqualification or penalty. An advocate with complete knowledge of the relevant laws, precedents, court room procedure and sentencing principles who can speak on your behalf. You may even be able to avoid having to attend procedural mentions and adjournments. An experienced court room advocate who can persuade the Court to adopt a more favourable penalty. The legislation governing work licence applications is the Transport Operations (Road Use Management) Act. Motorists repeatedly caught texting or using their mobile phone while driving will face stiffer penalties under changes announced today. The penalties are among a range of recommendations arising from last month’s Safer Roads, Safer Queensland forum. Drivers caught committing repeat mobile phone offences within a year can expect double demerits, similar to those imposed on repeat offenders who don’t wear a seatbelt or a motorcycle helmet, or who exceed the speed limit by more than 20 kilometres. Minor Traffic offences commenced by way of a complaint and summons, can now be resolved by way of an online plea of guilty. The days of attending the bulk traffic call over and waiting to have minor traffic offences determined by a Magistrate can be avoided. The new online guilty plea form allows the Court to take into account your timely plea of guilty and other relevant factors without the need to attend in person. Anyone wishing to plead guilty online should give thought to using the process. They need to be cautious however as to the consequences of pleading guilty before a Magistrate as many of the Hooning provisions are triggered once a plea of guilty is heard by a Magistrate. drive without due care and attention. When can the matter not proceed online? Currently an online guilty plea is not allowed if the person has received a Notice to Appear and has not yet appeared in court. More serious offences that are to proceed upon indictment are also not allowed. The Court does not have a capacity to disqualify a driver licence if the person is not present. Accordingly if the Court considers that a licence disqualification is required they will not proceed to sentence, but instead order that you personally appear at a further date. If you are sentenced in the Magistrates Court, whether you appear or not, you are still liable for payment of the Offender Levy. The offender levy is not part of the sentence, it is imposed in addition to any fine or sentence imposed. Which Courts have an online capacity? Amendments to the Transport Operations (Road Use Management) Act 1995 will increase the penalty for unlicensed driving where a person has never held a driver licence. Pursuant to section 78 of the Transport Operations (Road Use Management) Act 1995, A person must not drive a motor vehicle on a road unless the person holds a driver licence authorising the person to drive the vehicle on the road. (b) otherwise—40 penalty units or 1 year’s imprisonment. The Transport and Other Legislation Amendment Bill 2014 amends section 78 of the Transport Operations (Road Use Management) Act 1995 to impose a three (3) month disqualification. Section 90C of the Transport Operations (Road Use Management) Act 1995 provides for driver licence disqualifications to apply cumulatively where a person is disqualified from driving as a result of both drink or drug driving and unlicensed driving. The new licensing disqualification (where the person has never held a driver licence) is to be treated as a cumulative disqualification.